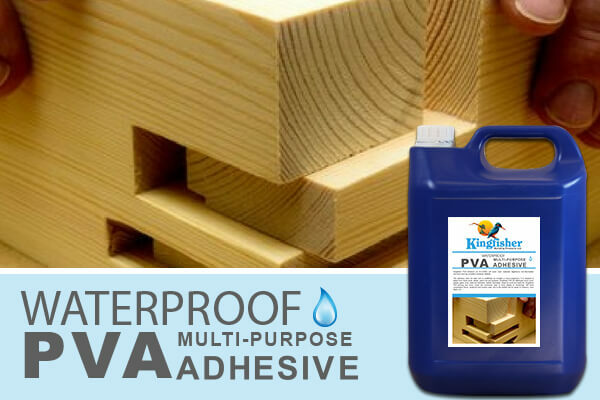 Kingfisher Multi-Purpose Waterproof PVA Adhesive is a carefully formulated cross-linking, water resistant wood glue for internal and external applications. This wood adhesive forms an extremely high impact resistant bond perfect for chipboard, softwood, hardwood, laminates and plywood. This waterproof PVA glue is suited for bonding the majority of building materials. For interior and exterior use, the Kingfisher PVA building adhesive is very strong and versatile. So, whether you are a DIY enthusiast, a joiner or anything in between, our Waterproof PVA glue is ideal. Conforms to BSEN204:1991: D3 and to BS 4071 creep resistance.